Abstract vector layout with colorful decorative shapes. 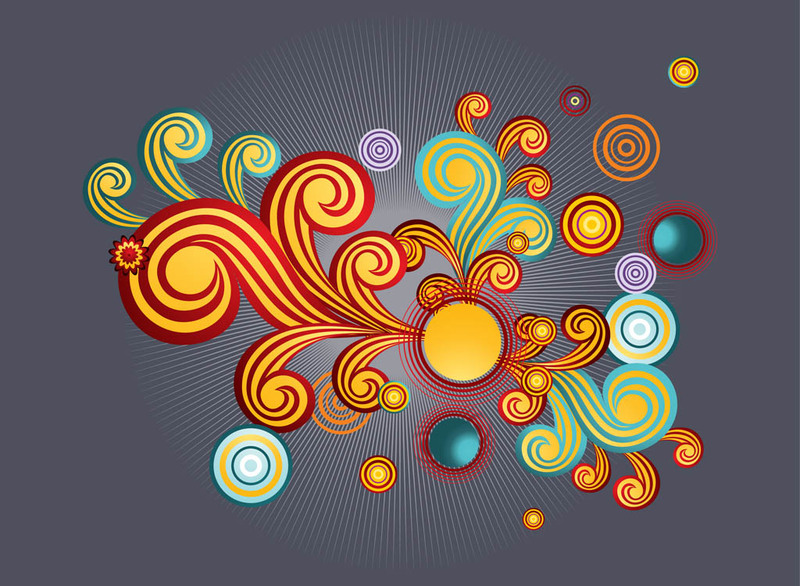 Waving and swirling designs, concentric circles and starburst pattern design. Free vector layout to decorate wallpapers, backgrounds, greeting cards, T-shirt prints, party invitations and disco adverts. Cartoon vintage decorations. Tags: Abstract, Circles, Decorations, Decorative, Rays, Starburst, Vintage.